This waterproof breathable jacket provides comfortable protection from the elements with the ability to be seen in dangerous conditions. From Grundens. Boasting ANSI/ISEA 107- 2004 Class 3 certification, this jacket delivers complete protection from rain and water, yet it breathes to prevent overheating. 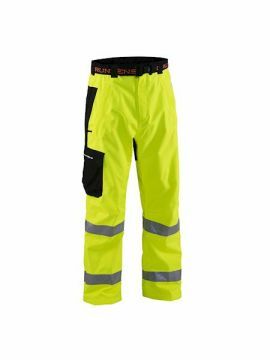 It’s an ideal choice for mariners, police, forestry crews, utility workers and others who work regardless of darkness or weather. Made from a rugged, yet lightweight polyester fabric and featuring an Oxford weave for comfort and durability. To keep the elements at bay, this jacket features fully taped seams, an adjustable three-piece hood and adjustable cuffs. Large pockets provide ample storage for gear or personal items.